In this tutorial, we tackle mobility from the perspective of the communication channel resulting from the movements of entities regardless of their nature. We investigate systems in which mobile entities can carry data while they move. These entities can be either mobile by nature (e.g., human beings and animals) or mobile by design (e.g., trains, airplanes, and cars). The movements of such entities equipped with storage capabilities create a communication channel which can help overcome the limitations or the lack of conventional data networks. Common limitations include the mismatch between the capacity offered by these networks and the traffic demand or their limited deployment owing to environmental factors. Whereas other tutorials have focused on the forwarding strategies or the impact of mobility models on the delivery success in specific networks such as Disruption-Tolerant Networks or DTNs, we review the extensive literature over the last two decades covering a wide spectrum of network models, including but not limited to DTNs or techniques such as forwarding or routing in those networks. Application scenarios include offloading traffic off legacy networks for capacity improvement, bridging connectivity gaps, or deploying ad hoc networks in challenging environments for coverage enhancement. We thank you for your interest in participating in this Tutorial! Fill in our online Registration Form below. Promethee Spathis is an Associate Professor in the Department of Computer Science at Sorbonne University, where he has been since 2005. From 2015 to 2018, he was a Visiting Associate Professor at New York University (Shanghai Campus) during the Spring terms. He received a B.S. in 1997, and an M.S. 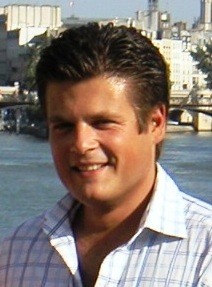 in 1999 from Université Pierre et Marie Curie (UPMC) in France. He received his Ph.D. in Computer Science in 2004 and his HDR (Habilitation à Diriger des Recherches) in 2016 from Université Pierre et Marie Curie. His research interests span both computer networking and network science. Much of his work has been on improving the understanding, design, and performance of mobile networked systems, mainly through the application of data mining and performance evaluation. He has made numerous contributions to mobile computing in the context of challenging environments and disruptive usage patterns. He has examined the impact of mobility patterns on the design of data offloading systems as alternative or complement to conventional infrastructure-based data networks. Dr Promethee Spathis was and is still leading or involved in many research projects in High Performance Networking in France, Europe, and South America. He has been involved in the FP7 MOTO and FP6 ANA IP projects, the ACCA coordination action, and many national research projects as a participant or the scientific coordinator including ANR DataTweet, ANR CONNECT, and ANR RESCUE. He has also participated to three French scientific-technological cooperation programmes with South America.